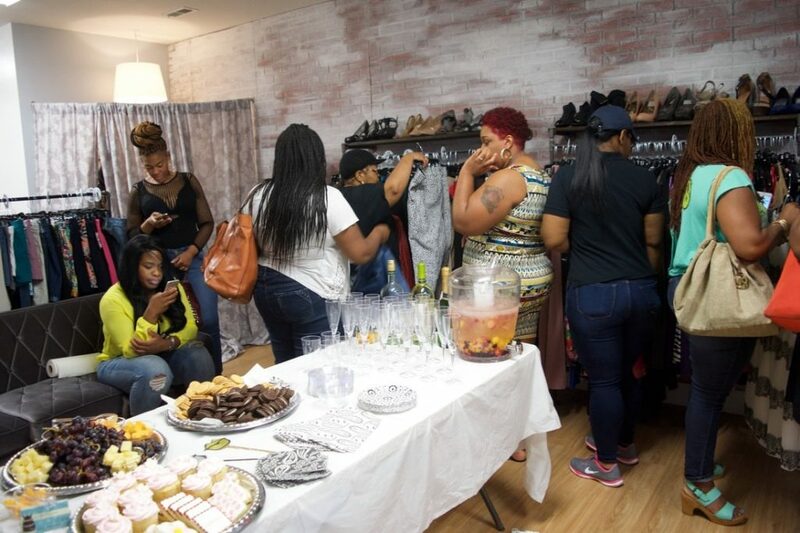 Looking to learn how to run your own plus size consignment boutique? 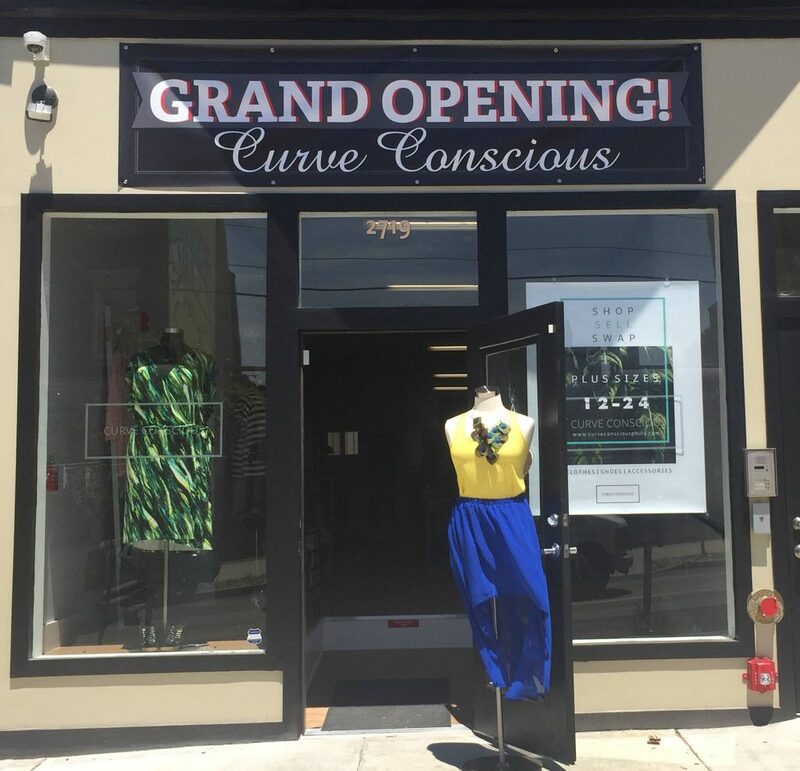 Today’s Curvy Bsss spotlight is Adrienne Ray, owner of Curve Conscious Boutique! Meet Curvy Boss, Adrienne Ray of Curve Conscious Philly! Adrienne knew she wanted to change careers, but she wasn’t sure exactly what she wanted to do. 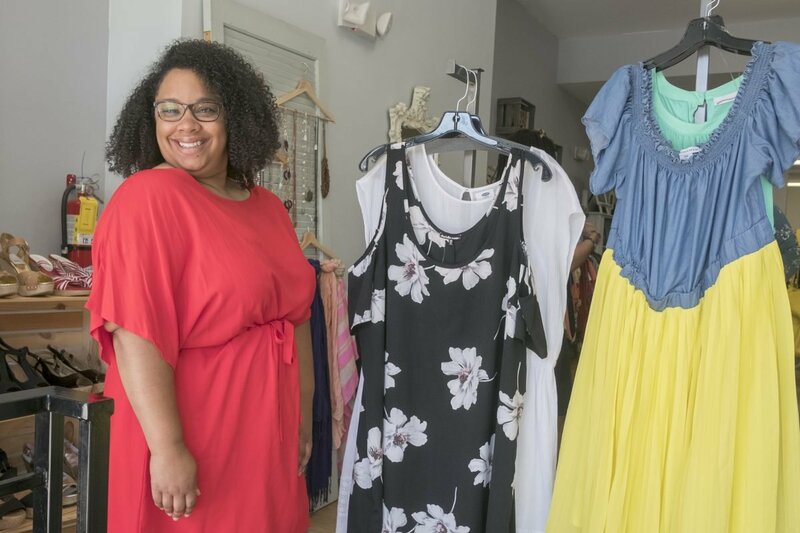 “I thought about traveling abroad and teaching ESL, but I was really drawn to starting my own business.” Adrienne’s mentors advised her to pick something she was really passionate about, and her passions eventually led to plus size resale. Can’t wait to share what we’ve been working on. Stay tuned! Adrienne knew that the options for plus consignment were slim across the US, because of a blog she and her cousin ran together. Save More Than You Think You Need: Most small businesses aren’t profitable until the second or third year. Make sure to have done the math on saving what you need to live on, and be prepared to take on outside hustles to make ends meet. 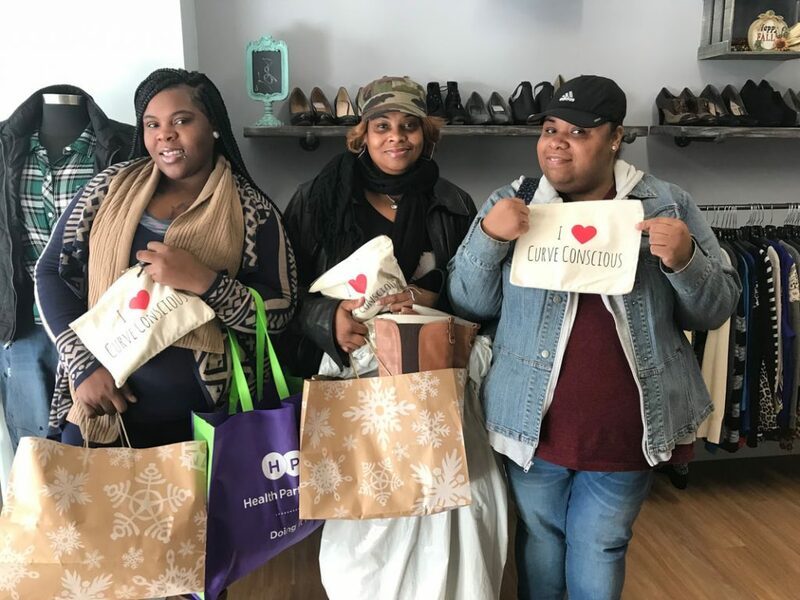 Build Your Community: Even though there are so few options for plus-size resale, I really underestimated the time it would take people to catch on! Adrienne also talked to other small business owners, getting insights on everything from the cost to turn utilities (around $800 USD) to a small business lawyer. “You can pay a LOT when you make mistakes, or you can pay for advice upfront and save a lot of money,” she says. “Something small business owners underestimate is the ‘importance of community.’ It takes a team to keep Curve Conscious going, and I’m incredibly grateful for a vocal community of big girls that support the shop!” she says. Her biggest issue also comes from social media, interestingly enough. Do you shop plus size consignment? What’s the best deal you’ve gotten? Have you checked out the rest of our Curvy Boss Features? Want to be featured, make sure to contact us to be featured in our series! We are looking for a few badass plus size business owners, changemakers, and those outside of the plus size blogging and plus size modeling world who are making an impact in their community!